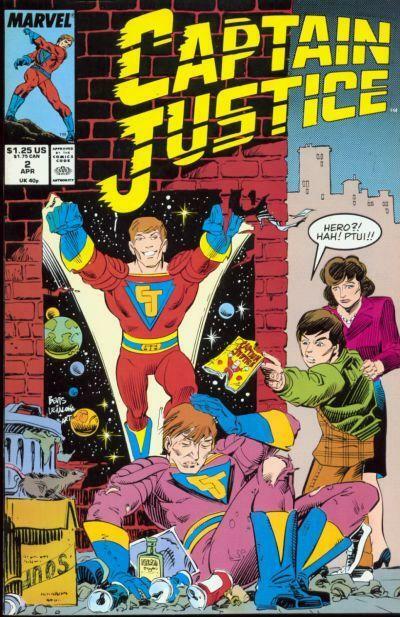 ONCE A HERO was a Fall 1987 action/ adventure/ comedy, with a comic book twist, from ABC and New World Television. The to-smart-for-TV premise revolved around a superhero (Captain Justice) who crosses over from the pages of a comic book into the "real" world. 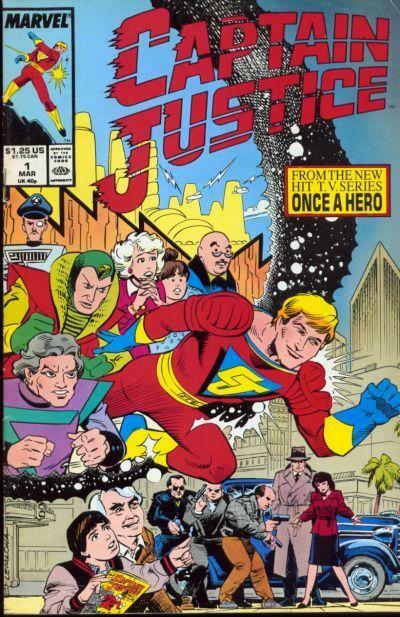 The show was produced by New World Television so, dutifully, sister company Marvel Comics issued a comic book version: a two-issue limited series (although its not identified as one) adapting the TV pilot under the title CAPTAIN JUSTICE. The show was plagued by a number of pre-launch problems. 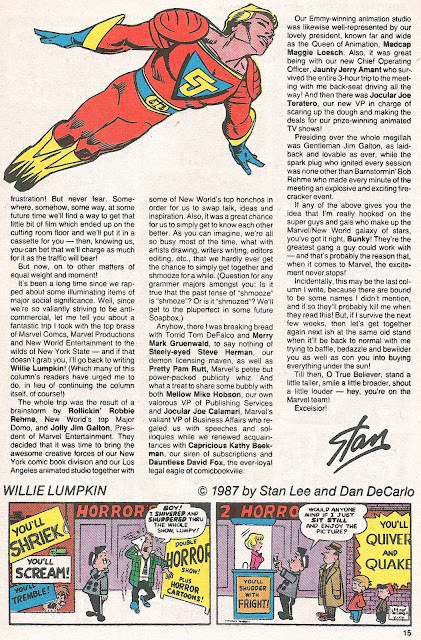 Stan Lee's Hollywood-focused column in MARVEL AGE MAGAZINE (see below) detailed several name changes, network-dictated recasting and reshoots (unfortunately he doesn't go into too much detail) and deleted scenes (including his own). Lee was meant to make a cameo in the pilot episode but his scene was left on the cutting room floor. 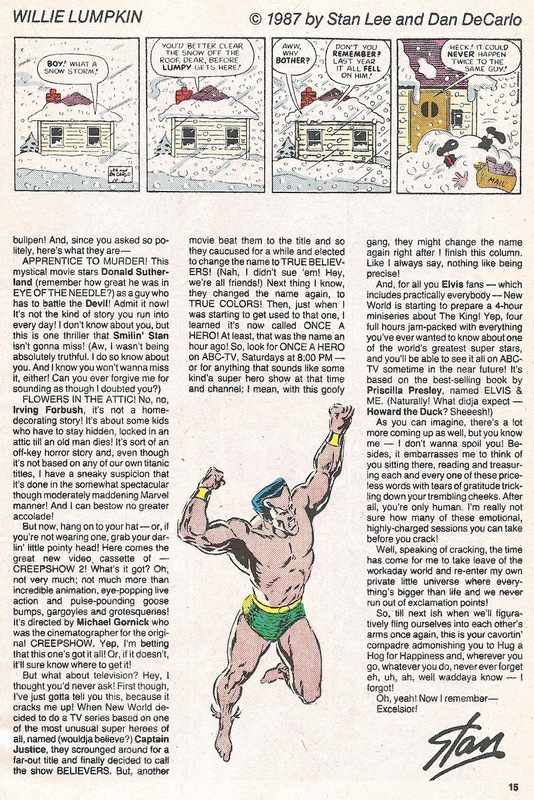 A transcript of his scene (a faux interview) appears on the first page of the first Marvel issue. The show's various working titles were, according to Lee: Believers; True Believers; True Believer (this may be a typo of True Believers); True Colors and - eventually - Once a Hero. Ironically, because of publishing deadlines and lead times, the show would have been cancelled before either of Lee's in-print plugs appeared. 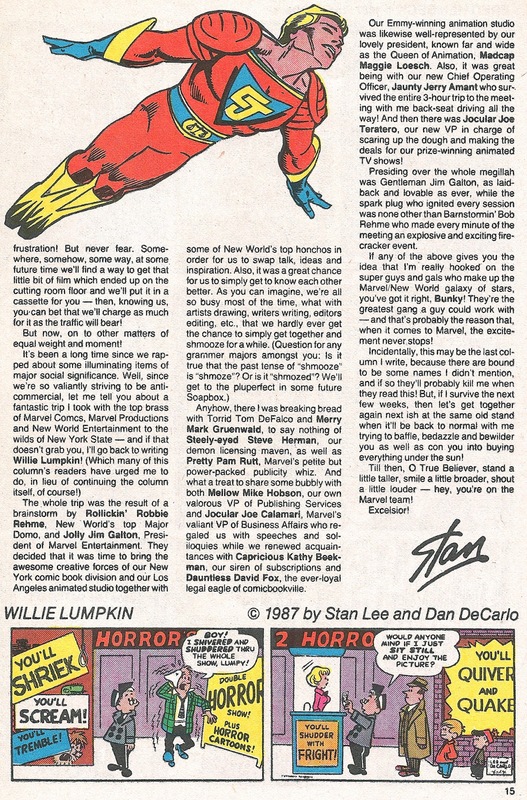 Stan regularly used his soapbox pages to plug New World's TV, film and home video activity. 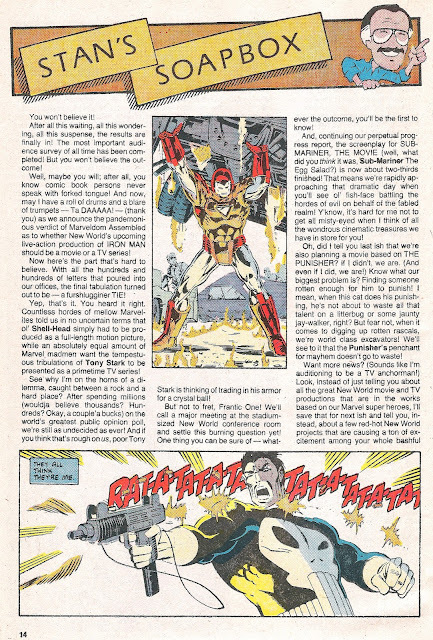 Only the first issue of the Marvel adaptation mentions its TV origins on the cover, presumably being associated with a defunct-for-months TV show had no perceived sales benefits for the second. The adaptation was written by J.M. DeMatteis (based on Dusty Kaye's TV screenplay) with art by Steve Leialoha. Unsurprisingly, it has never been reprinted (although copies still turn up in back issue bargain bins) and there was no UK edition. 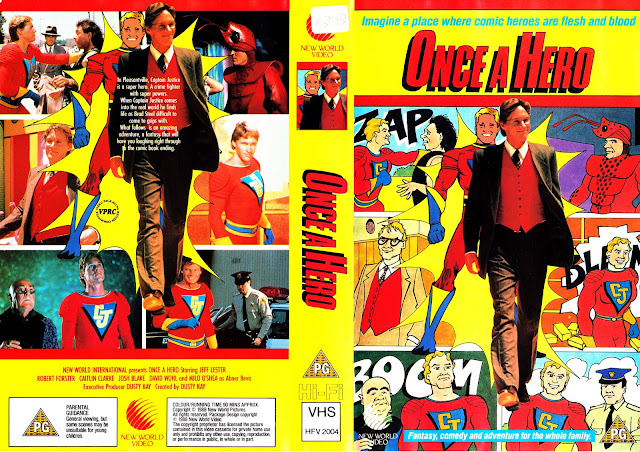 Seven episodes of Once a Hero were completed when the show was cancelled, although ABC aired only three (the feature-length pilot and two one-hour shows. The remaining episodes (including one guest starring Adam West) never aired in the States but - presumably - aired in overseas markets. Once a Hero was a ratings bomb and the first show of the 1987-88 season to be axed. Its poor performance was compounded by a number of ABC affiliates which, sensing a stinker, pre-empted the pilot for the double-length debut of STAR TREK: THE NEXT GENERATION. Some affiliates continued to substitute Trek for subsequent episodes. 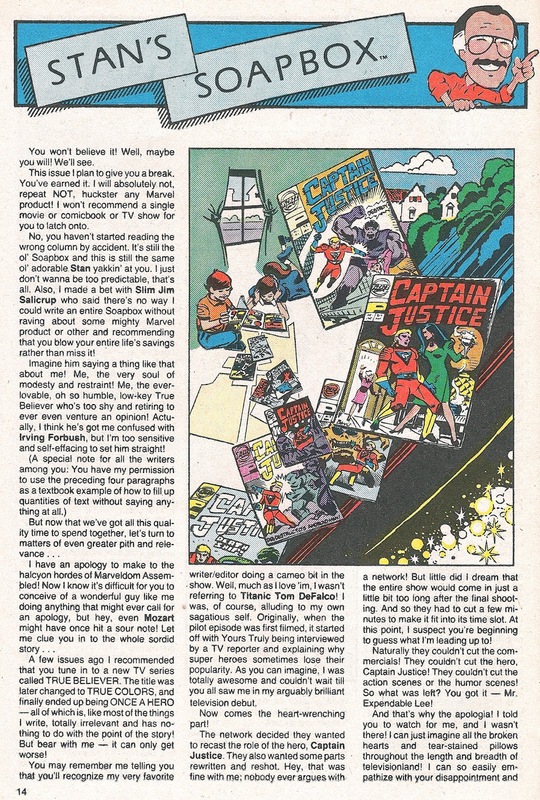 Television production operated under a deficit-funded model which meant ABC would only have contributed a percentage of Once a Hero's production costs. New World only had a real chance of recovering the true cost of shooting the series if it accumulated enough episodes (usually 75-100) for a successful afterlife in reruns and overseas sales. It's cancellation left New World considerably out-of-pocket and contributed to its increasingly perilous financial situation (the Los Angeles Times reported, in an article published 6 March 1988, that the company had debts of $304 million and 1987-88 third-quarter losses of $6.4 million). New World Video released the pilot episode as a direct-to-video movie in 1988 (VHS art below). The rental-only release was never followed by a sell-through edition. The video was promoted by a video store poster, using the same artwork as the tape. The show has never been released on DVD.